The "Women's Convention," a meeting tied to the "Women's March" movement, is keeping some people out because of its price tag: $295 for adults and $125 for students. Some attendees also remain confused as few details about the event have been made available, the Detroit Free Press reported. One attendee, Sheryl Pittswolff, of Freeport, Ill., asked for a refund for her group. "I expressed my concern over there not being any more explanation of what’s going to happen or even if it was actually going to happen.We knew the date for being eligible to get a refund, and unless we knew more about the event, we wanted our money back. We didn’t want to waste it," Pittswolff said. Nicole Breadon, whose $295 registration fee was paid for by an anonynous donor, said "I think people are still on the fence about going because of the cost." Niraj Warikoo, a staff writer for the Detroit Free Press, contrasted the price tag with the wealth of Detroit. 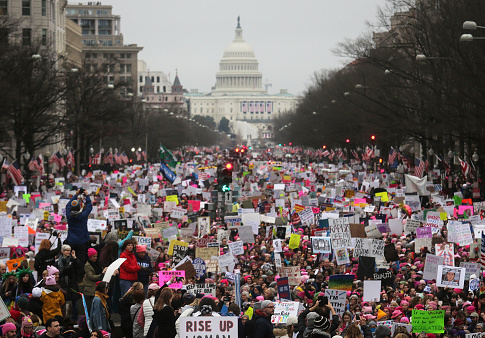 The Women's March team acknowledged that the steep price could keep a lot of supporters out who would otherwise come. In response, the groups's leadership created a scholarship to help those with financial need, but it's still far from reaching its goal. Breadon suggested that having Rep. Maxine Waters (D., Calif.) speak at the convention will drum up attendance. 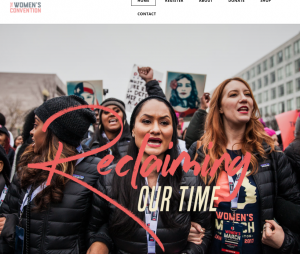 In fact, the event's theme, "Reclaiming Our Time," was inspired by a phrase used by Waters during a finance hearing with Treasury Secretary Steve Mnuchin. That phrase "reclaiming my time" has become something of a catchphrase among progressives. Other than Waters, it's unclear who the headliners and speakers will be, or which musicians will performed at the social justice concert planned for Oct. 28. This entry was posted in Culture and tagged Detroit, Maxine Waters, Michigan, Women's March. Bookmark the permalink.